Fall is here, and even if the temperatures don’t feel like it, the shorter days and calendar tell us that it is official. Now is the perfect time to prepare your yard and gardens for the cooler weather and to enjoy the colors of the season. To get your lawn in tip-top shape for fall and winter, consider using a lawn spray company or applying a winterizer to your grass. Providing your lawn with good “nutrition” during its dormant time can be compared to giving an athlete Gatorade after a game – it replenishes and rebuilds what was lost during the active time and helps get ready for the next growing season. Therefore, fertilizing now will help your lawn reemerge green and lush come spring. Vegetable gardens thrive in southeast Texas in October. Consider planting broccoli, cauliflower, cabbage and mustard. Now is also a great time to sow beet, carrot, leek, snap peas, and kale seeds. Use raised beds or pile up the soil about eight inches high to ensure excellent drainage and keep it moist to protect from the still warm temperatures. Fertilize every couple of weeks and pull those nutrient-stealing weeds by hand. 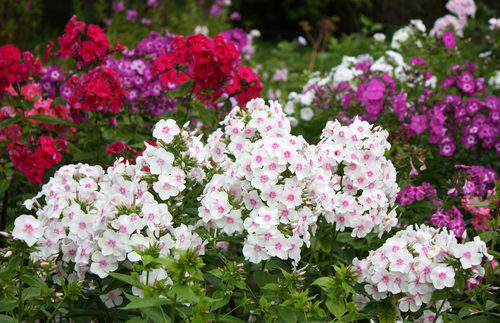 To keep some bright color in your flower beds, plant primrose in clusters. Their beautiful golden-centered blooms come in a wide variety of shades and they will bloom from November through May. These hardy plants can even withstand freezing temperatures. Bring some height to your beds with snapdragon plants but be sure the soil drains well and don’t over water. Phlox is another bright addition to any yard in the fall and wintertime. When temperatures finally drop, care for your plants by ensuring beds have a thick layer of mulch to keep in the moisture and warmth. If there is a freeze warning, cover overnight with old sheets or tarps, but be sure to remove them the next morning so the plants can catch the sunlight.